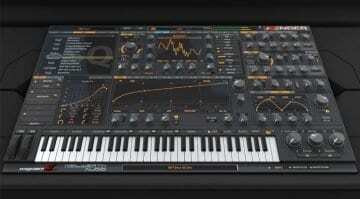 It’s all about FM synthesis at the moment. 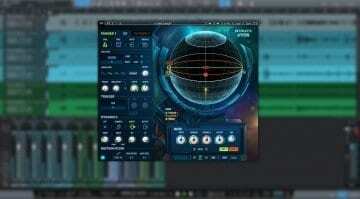 Here’s another go and making it easy and accessible but Waves unashamably combine it with a more analog style subtractive synthesis to bring a warmer and more familiar feel. 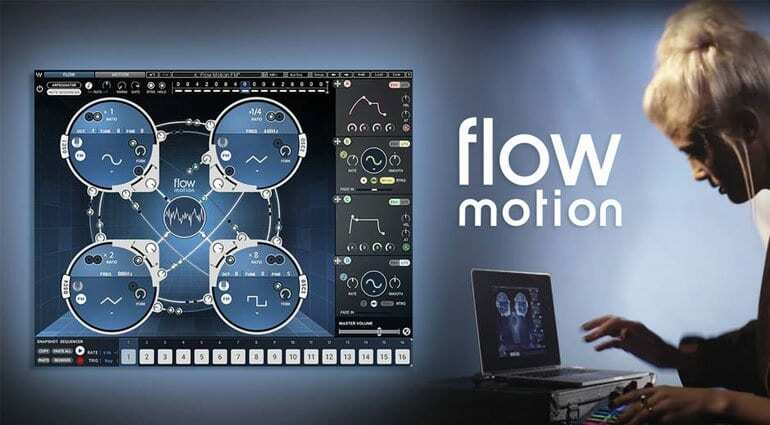 Flow Motion FM Synth looks very interesting indeed. It looks completely brilliant. I’m enjoying the four circular oscillators, independent and yet feeding into one another through a grapical matrix of signal and modulation. 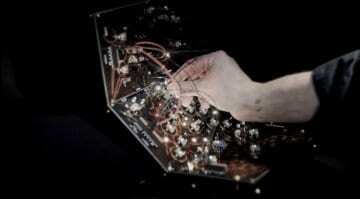 Each oscillator has it’s own waveform and pan controls and mono/poly switch. 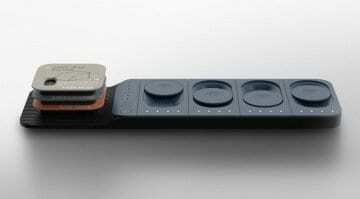 Floating around are four LFO/envelope modulators that you can drag and drop about the place. A second “Motion” screen gives access to an analog style multimode filter, EQ, effects and global controls. They can all be modulated to withint an inch of their existance. The sequencer is really interesting. They call it a “snapshot sequencer” the idea being that you save the current state of your patch/program/fiddling-about as one of the 16 steps and the synth switches between them in realtime. You can sequence notes as well and there’s an arpeggiator. Flow Motion doesn’t seem to have the parameter depth of many FM software synths, but I think that’s the point. 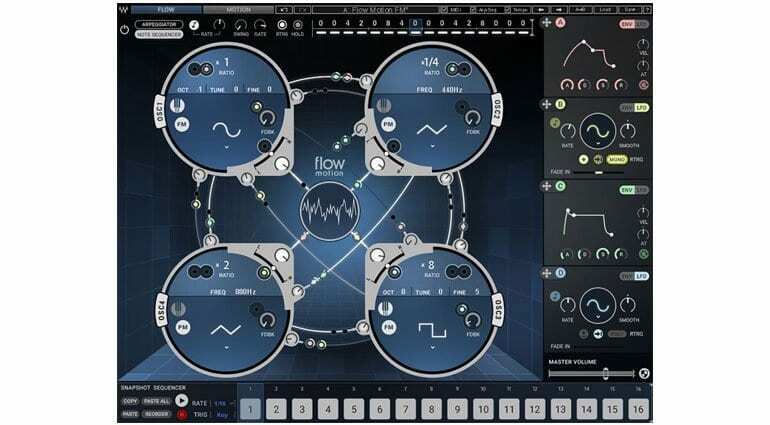 Instead it gives you a visual playground where you can discover sounds and twist them to your liking without having to think too deeply about FM concepts. It also has over 1000 presets to keep you busy. It’s on offer for $39 at the moment which is a good deal down from the $99 retail price. It also appears in the Waves Mercury bundle. 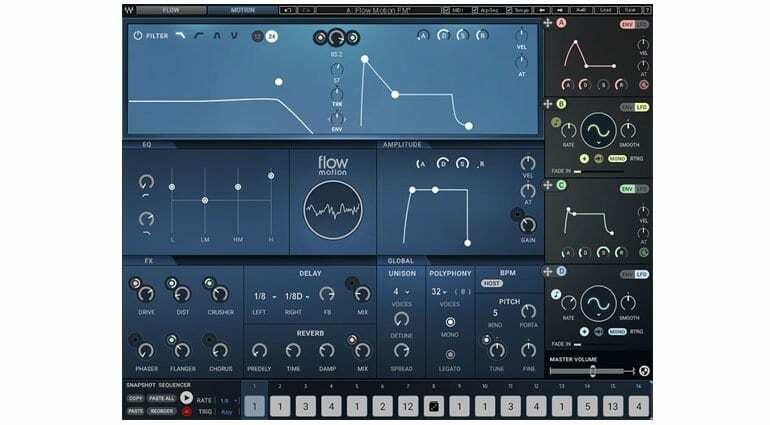 Waves Flow Motion FM Synth page.